You may not know the name James Ohlen, but chances are you've played one of the games he worked on. 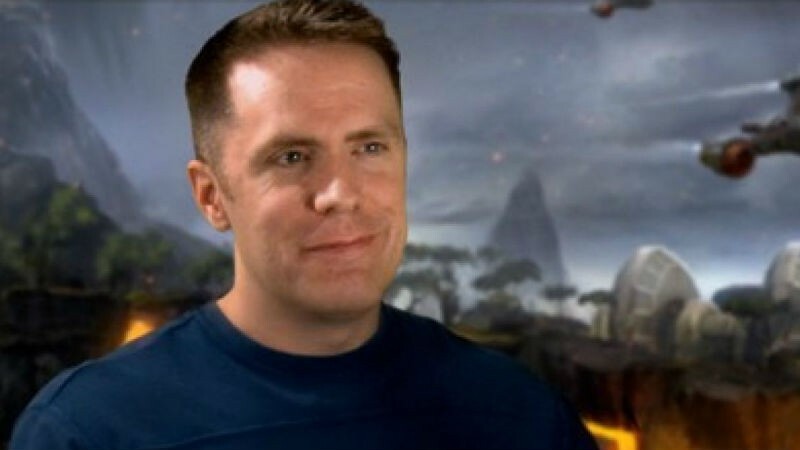 One of the early members of BioWare, the 22-year veteran left his mark on seminal RPG games like Baldur's Gate, Baldur's Gate II, Neverwinter Knights, and Star Wars: Knights of the Old Republic. Today, the longtime director of design announced his departure of the company. Referred to as "the godfather of BioWare design" by former co-worker Kevin Martens, who now works as a lead designer for the Diablo franchise for Blizzard, Ohlen's origin story is a great one. BioWare founders Ray Muzyka and Greg Zeschuk originally heard about Ohlen because of his dungeon master skills. When he wasn't running a comic book store, he ran two legendary D&D campaigns that each had a waiting list. Those talents translated well into his work at BioWare, where he started testing on Shattered Steel but quickly earned the lead design role for Baldur's Gate, the RPG that eventually put the company on the map. The longtime director of design eventually helped set up the Austin office and shepherded the creation of Star Wars: The Old Republic, the company's first massively multiplayer title. He most recently worked on the canceled project Shadow Realms, as well as Mass Effect: Andromeda. Ohlen joins a lengthy list BioWare departures, including Muzyka, Zeschuk, former general manager Aaryn Flynn, creative director Mike Laidlaw, lead writer David Gaider, and lead writer Drew Karpyshyn, among others. The talent bleed at BioWare is significant, but you can't fault a man for wanting to try something new after 22 years at the same company. We wish him the best in his future endeavors and thank him for the great games he helped bring to life.